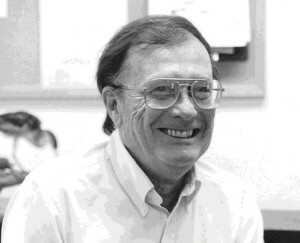 Home > Centennial Biographies > William B. Robertson, Jr.
Dr. William B. Robertson, Jr., (1924-2000) better known to his National Park Service family as “Dr. Bill”, was born in Berlin, Illinois on 22 August 1924, the oldest of 10 siblings. Robertson’s desire to understand the natural world was evident at an early age, publishing his first paper on birds at the age of 17. This was just the first of more than 150 reports, a book chapter, popular articles, and scientific papers that he would publish during his life. He received his AB degree from Carthage College in 1947 and his MS (1949) and doctorate (1955) from the University of Illinois, Urbana. Dr. Robertson’s NPS experience began as a doctoral student, when he was sent to the Everglades to study the avifauna of South Florida. While working on his dissertation, he also began working for Everglades National Park, where he became the second biologist of the still new and still little-known park. It was from his assignments in this capacity that in 1953 he wrote one of the most important studies ever of South Florida ecology, a report to the National Park Service entitled “A survey of the effects of fire in Everglades National Park.” In this paper he demonstrated that much of South Florida’s vegetation was the way it was because of fire, and the importance of fire in maintaining the Everglades ecosystem. This seminal work laid the foundation for the present day fire management practices within the National Park Service. Robertson’s efforts did not stop there. Rather, he was always endeavoring to understand and provide guidance on natural resources issues facing South Florida National Park areas. He was quietly but deeply involved in all the issues of the time—the establishment of Big Cypress National Preserve, Biscayne National Monument (now National Park), and in Everglades National Park with the never-ending battles over water management, fire management, endangered species protection and other such issues. He was not the guy standing up at public hearings for all to see and applaud; he was the one whose insights were being put forth by those who did speak. As the decades sped by, his views continued to be sought, even if not always followed. But he kept doing the best he could in what was a highly charged political climate, and was universally admired for his wisdom. In December of 1997, Dr. William B. Robertson, Jr., retired after an astounding 46 years of federal service. But even in retirement he continued to work projects in both Everglades and Dry Tortugas national parks, always ready to provide guidance if needed. He was a man of profound reserve, intellect, and deliberation; a man of unbending ethics who was not swayed by the winds of politics and never backed down from saying what he knew to be right; a man to whom his colleagues were his family.